Travelettes » » Tell me where will you sleep tonight? Tell me where will you sleep tonight? My girl, my girl, don’t lie to me, tell me where did you sleep last night? – the hymn of my teenage years. Because even though Kurt Cobain had long left, his music was still among the most influential tunes I listened to back then. Nirvana Unplugged was one of my first records, and I believe my deep love for white lilies derives from the set up of this live concert. Why am I telling you all this? On the one hand I think you should all go and see The Montage of Heck – the latest Kurt Cobain documentary, which is brilliant in so many ways. On the other hand that particular song got stuck in my head, and I remember never actually caring what it was about – that line just sounded good. And because of my non-native ignorance of the English language, the lyrics also remind me of a travel app I recently tried for the first time – profound, right? But sometimes everything is about finding a place to sleep tonight, and then telling everyone about the place you slept last night – am I not right? So, without lying, I will tell you where I slept the other night and how it all fell into place. It all started with an invitation to test a new-to-me travel app called HotelTonight. Simple, spontaneous and safe – the app seems like the ideal tool for a savvy frequent traveler who likes their trips just like that – simple, spontaneous and safe. 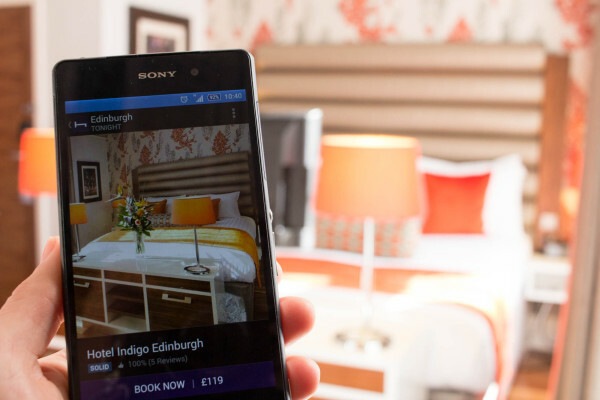 HotelTonight is a last-minute hotel booking app – the furthest you can book ahead is seven days, hence the name. Whenever you get stranded in a foreign city because your train broke down, or your flight was cancelled, or when you decide to spend a night away from it all real spontaneously – with this app you can find vacant hotel rooms for the night. Seeing that these rooms would otherwise go unsold, the hotels offer some really rad deals through the app. Recently, I had a business meeting in Edinburgh, and it was weekend and the sun was shining bright, so I decided to take a spontaneous city break to enjoy a little more of the Scottish capital. More on my top tips for a short trip to Edinburgh will follow soon. But now, back to the logistics. 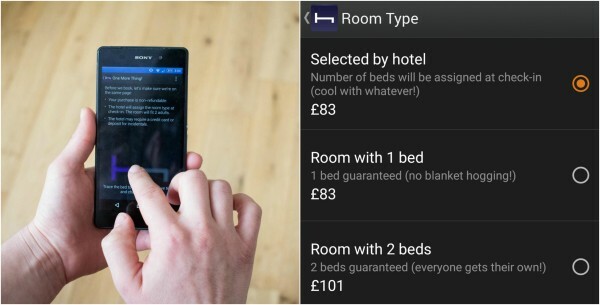 Setting up an account with HotelTonight is really easy – you simply download the app (it’s free! ), create an account and fill in your credit card details. From then on, booking a hotel room is as simple as calling an Uber taxi – three taps and a confirmation, that’s all. You can search for hotels in over 500 destinations around the world – the database is far from complete, but still growing. The hotels on offer are personally selected and tested by the HotelTonight team, meaning that you don’t have to dig through hundreds and hundreds of hotel reviews, but get a handful of reliable quality suggestions. The hotels are tagged with different categories, like basic, charming or hip, to make it easier to find the kind of vibe you’re looking for. 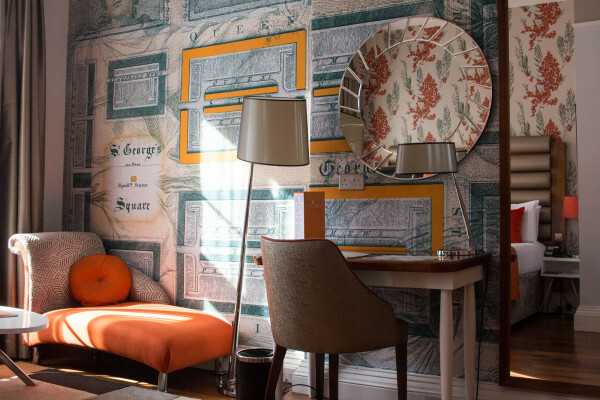 For my night in Edinburgh I wanted a cool, stylish hotel in the city centre and luckily Hotel Indigo (category: solid) on York Place had an unsold executive standard room available for me. The room sold for £101, which is roughly £15 less than the standard rate for a double room quoted by the hotel and on other booking platforms (£117). The price did not include breakfast, but as I prefer eating out for break anyways, that was no issue. What was included though, was everything in the mini bar – yay! 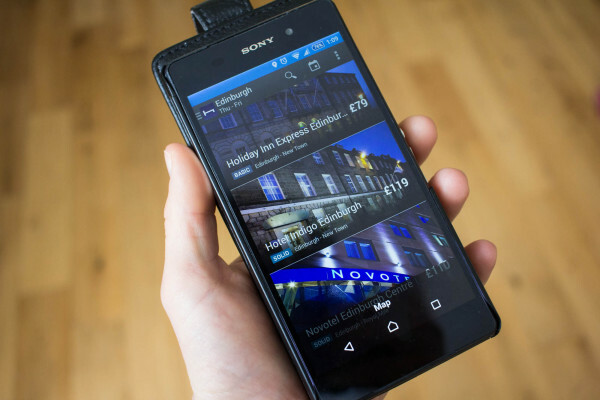 While browsing the app showed me everything I needed to know about the hotel – a map with its location, photos of the rooms, review ratings, details on amenities and facilities, and additional information, for example how to reach it from the airport and check-in/-out times. Convinced, I tapped ‘Book Now’ and was surprised to see that the quoted prize was just the average rate for the room – under ‘Room Type’ I could choose between ‘selected by hotel’, ‘room with 1 bed’ (each £83) and ‘room with 2 beds’ (£101) – another few pounds saved. As I had saved my credit card details in the app already, all I had to do next was tap ‘Confirm Booking’ and agree to the terms by tracing the shape of a bed on my screen – a nice interactive finishing touch. Done! Edinburgh, here I come. As always with new booking methods, I was a little nervous as I rocked up at the front desk. Will they have registered my booking (an irrational fear, as I of course had received a receipt and booking confirmation)? Would I need to show the booking in the app? What if my phone dies? Worries about nothing – check-in went smooth, all I needed to say was my name and the friendly staff at the reception knew what to do. So far, I was very happy with the hotel suggestion HotelTonight had offered me. The happiness grew when I entered my room on the third floor – large windows, lots of daylight, a massive TV, a chaise longue to rest without messing up the bed, a bathtub and a huge walk-in rain shower. Can I stay longer than one night? Unfortunately, that was not an option, because the hotel was fully booked the next night and I had to return to my own, not so fancy flat in Glasgow… I need a rain shower. Spontaneous city travellers who want to stay at a hotel (though there are also aparthotels in the database). Why should you use HotelTonight? It’s super-simple – the app is easy to navigate, the booking process is straight-forward and information about the hotels is very transparent. You can score great last-minute deals with cool hotels. The selection of hotels is high quality and meets any possible need (budget, vibe, location etc.). 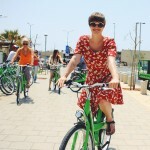 …you want to book your accommodation well in advance. …you want to stay in and search for a particular hotel. I enjoyed booking a hotel room with HotelTonight – I liked how simple the app is, how it saved me so much time browsing hotel lists by suggesting a curated selection of classy hotels, how smooth everything went from download to check out. Although I love planning my trips, I also love the occasional spontaneous getaway, treating myself to a new city, and I’m sure I’ll use the app again to find a neat hotel for the night. If you would like to give HotelTonight a try, download the app (available for iOs, Android and Windows Phone) and use the code TRAVELETTES – it will give you a 15% discount on your first booking (conditions: min. value €75; bookings until 31 May 2015). Have you tried HotelTonight before? What did you think – tell us in the comments! *This post is a cooperation with HotelTonight, but the opinions expressed are entirely Kathi’s own. I so agree! I tried this app a few weeks ago when I stranded in Toronto for a night - lifesaver! How have I never heard about this before?? I'll definitely give it a try for my next trip. I love being spontaneous when I travel and not booking ages in advance. Thanks for pointing this out!